Bolton are set to sign Cardiff striker Adam Le Fondre on loan next week. 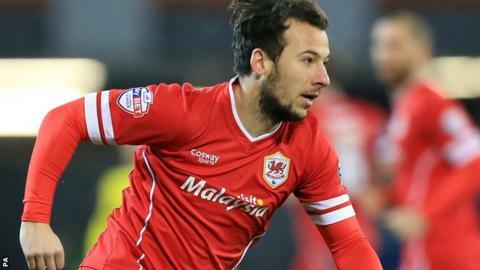 Le Fondre, 28, signed for the Bluebirds last summer after three years at Reading but has scored just three league goals for Cardiff. He is expected to join up with Wanderers next week, but will not be available to face Rotherham on Tuesday. The striker will also not be available to play in the FA Cup replay against Liverpool - earned with Saturday's goalless draw at Anfield. Le Fondre has scored over 150 league goals in his career and played in the Premier League for Reading.